I've got a little something different for a post today. I wasn't sure if I was going to talk about it or not on the blog, but after some thinking I feel like now is a good time to start talking about it-- my fitness journey! Growing up I was a competitive swimmer for 12 years of my life and never had to worry about the things I ate. The thousands of calories I burned during practices allowed me to eat anything and everything I wanted-- mostly just junk food because I had no consequences of eating all of it. I stopped swimming my sophomore year of high school and vowed to keep exercising and kept up with running for a bit but it soon fell to the wayside when my OCD kicked into overdrive my junior year, and then depression my senior year. I lost all motivation and desire to exercise, and since I had never developed good eating habits, I continued the diet I had when I was a competitive swimmer without any real thought. I knew I was gaining weight all these years but it didn't really matter to me because I accepted my body and loved it. It made me so happy that I could be a healthy role model for other girls for my curvier body type, and it was a dream come true to be featured in Seventeen and teach other girls how to dress for their pear shaped body. My freshman and sophomore years of college I lived on campus so I just ate from the cafeteria and didn't have to worry about fixing my own meals. And then when I went to Italy, I just ate pasta pretty much every day because it was cheap and I was on a budget. I never really had to learn how to cook for myself. When I came back to the States to Kent for the second half of my junior year in college, I found myself living in an apartment and for the first time, having to completely cook for myself. I didn't know how, so I was just buying a lot of frozen meals or fixing easy, very unhealthy meals. I began feeling seriously sick every night--awful stomach aches, heart burn, bloating, and just feeling so sick...it was triggering my OCD in a way that hadn't happened in a long time, and I was reverting back to always being in a panic and having to call my parents multiple times a day to calm down my fears. I didn't really know what to do...I feel feeling awful, it was affecting my mental health, and I was just stressed with having to get an internship for this summer. And then the thought kind of dawned on me....why not start living a healthier life style? I've tried doing so in the past but for all the wrong reasons. Self loathing of my body, desire to fit into a piece of clothing I once did, a push fueled by a fitness obsessed boyfriend. None of those times it was ever for ME. So I decided in the middle of February to start living and healthier life style and I've continued it for the last month and a half. I've cut back on my junk and learned how to cook real meals. Lots of fruits and vegetables, healthy alternatives to things I was eating-- but NO cutting back on the amount of food I eat. I started using My Fitness Pal to track the things I was eating and was shocked at how unhealthy the things I was putting in my body were and how much I was really consuming. I started small, not cutting out every unhealthy but gradual switches. And still, I treat myself, every day. If not I would go crazy. It's about balance-- you can have the things you want, just in moderation. I've learned how to cook a lot of meals that are a LOT healthier than what I was, and it's actually been very fun and exciting to learn. I didn't start out on my healthier life style with exercising-- I was just going to concentrate on eating healthier to feel better and less sick. But one random day, I just got the urge to go to the rec center in my apartment complex-- I did it, and I ended up loving it. I looked forward to going back every day, as a part of my routine that I've grown accustomed to, and I love the release of stress exercising gives me and the endorphin high afterwards. I've become so in love with it, that usually I exercise 5-7 times a week. I would be lying if I said I LOVE healthy eating, but I do LOVE exercising. Both are important though! Lauren, you look radiant and really healthy! 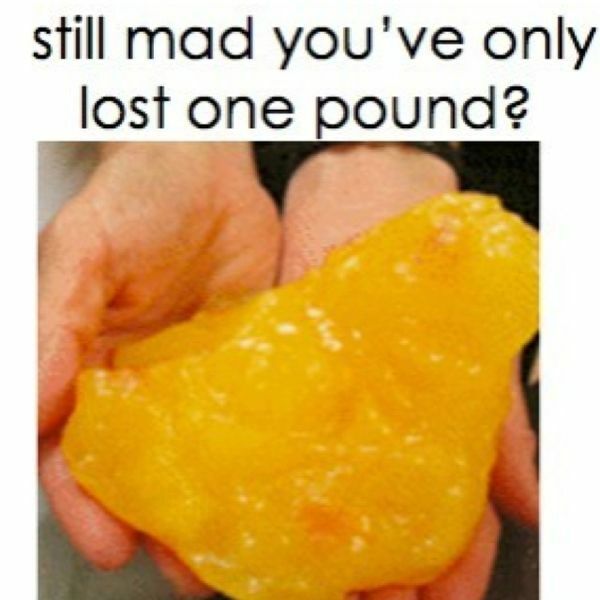 You've always had a beautiful figure, but now you look even happier and more confident. Changing the way you think about food and exercise can really do wonders, and even though committing to an exercise routine can be difficult, I always sleep better and just feel emotionally more at ease when I make myself do it. I'm back on Weight Watchers now and though it can be a bit of a struggle (I have such a sweet tooth! ), I'm definitely feeling better than I was. I want to get back to feeling super confident and healthy! You inspire me! Go you! The older I get the more I'm definitely becoming aware of these things too, I'm trying my best not to snack on a load of rubbish but I'm the worst for doing so at work when things are so easily available. Now the weather is getting nicer again though I'm looking forward to bright salads and healthier dishes for meals! So inspiring Lauren! Thanks for sharing with us! I'm always interested in fitness/healthy eating! Great job, by the way. It's hard taking steps toward a healthier life. I lost 30lbs last year, by eating healthy. It was fun chronicling my journey on my blog, sharing my personal experiences. I'm definitely interested in learning more about your journey! As one other comment mentioned, I'd love to know what you were eating before and what you are eating now. My freshman year in college, I was very careful about what I ate and worked out a lot- I felt so healthy! Now in my senior year, I've been eating such junk and barely finding time for the gym, and it feels awful. Recently I've committed to slowly getting back on track, so it's nice to know someone else is on that same walk with me. Good luck with everything! Also, I absolutely love that you mentioned loving your body before beginning this, and looking at it from a health perspective. So many people go about getting healthy the wrong way! I would love to stay updated on your progress! It's the motivation I need. I was really happy reading this and seeing how healthy eating and exercise has helped you. This was so beautiful and inspiring! I just started my health and fitness journey about a month ago, and it is so encouraging to see someone else doing it for the same reasons as I am! I was eating so badly and just feeling disgusting after every meal, but feeling helpless when it came to change. I can't wait to read your future fitness posts! Peter Pilotto for Target Outfit.